If you haven’t noticed yet, I’ve been recapping my newest addiction and obsession ‘King of High School Life Conduct’ because I am simply in love with this drama. It is so so so good I kind of pity those who aren’t watching it, lol (just kidding). BUT the one thing that I am not lying about this drama though is that it is seriously so so good. I was hooked ever since the very first episode and have continued to get attached as I watched each episode. There are so many great things about this drama (such as the perfection that I proudly name Seo In Guk) it is near perfect. Anyways, as the title implies, this post / thread is primarily dedicated to the amazing korean drama so I have gathered a bunch of stuff I’ve found related to the drama, such as the released OST tracks or GIFs of flawless Seo In Guk portraying Min Suk or funny memes relating to the drama. I guess we can start out with the OST tracks since there aren’t that many out yet and because they provide a great listen. First up is ‘One Way’ by 트랜스픽션 (Trans Fixion), a rock song that can be primarily heard in the drama as the ending song. I honestly wasn’t really feeling this song when I first heard it, but because this song played every time each episode ended, I went to go listen to the whole song and now I can’t stop myself from listening to it. In fact, I’m listening to it right now as I write this post. Haha. Every time I listen to this song, I think back to ‘King of High School’ and its epic ending scenes, making me excited for the next episode. Anyways, a really good (and catchy I might add) track, so make sure you listen to it if you haven’t yet. The next OST track that was most recently released is ‘As Life Goes On’ by soloist Jung In (this is off-topic, but I actually got to see her live at concert in the beginning of last year. She’s prettier in real life and she’s a great singer!). The first time the viewers heard this song was during the bus scene in episode two when Min Suk sat behind Soo Young on the bus after work ended and watched after her. I remember falling in love with the bus scene so much and I think a part of it was because this song was playing during that scene and it matched the scene so well. I couldn’t stop listening to the song so I repeatedly listened to a Youtube video that cut the bus scene but thankfully the official OST track was released a week after. It’s a beautiful and calm song, so definitely, definitely give it a listen. If you’re not having a great day or morning or night so far, I hope these memes will cheer you up. I found them on a tumblr account called dramatroll so credits to dramatroll for these hilarious memes that I hope will make you feel better. These are just for fun, so do not take them seriously. Haha. I especially like the one with about the tires because it’s so true. Lolol. We’ve covered OST tracks and memes so far, so the last thing I will be sharing with you guys is my obsession with Seo In Guk who I have fallen in love with after watching ‘King of High School.’ How can you NOT fall in love with him after watching him act so naturally as Min Suk? It’s hard to believe that Seo In Guk actually started out as a singer, because he’s just as great in acting. I honestly never found Seo In Guk to be attractive and charming before ‘King of High School’, but now I can proudly declare him as my newest celebrity crush. 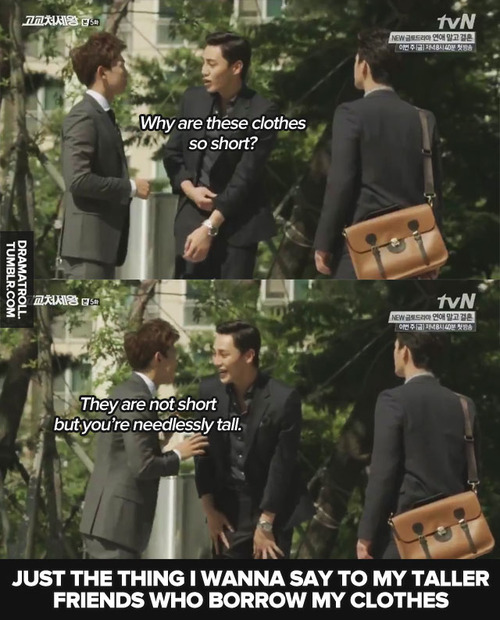 Better watch out Jung Yoo-Ah, you have a new competitor here who loves Min Suk just as much as you do! (credits to whoever this belongs too. THIS IS NOT MINE). I kind of died when I saw him in those clothes while riding that bicycle. Seo In Guk looks amazing just wearing casual clothes like that combined with some shades. And when he sports on a face expression like that too. Uh yeah, one just simply cannot contain thy feels. Lol. Here are some other pictures of Seo In Guk for a magazine photoshoot. Looking fabulous like usual. I know that this post might be kind of useless, but I just needed to let out my feels for this drama and for Seo In Guk and this was the only way to do it, so I had to make this post. Haha. I hope that those who are watching “King of High School” enjoys it just as much. I mean come on, there’s Seo In Guk (and Lee Soo Hyuk), what is there not to enjoy right?! 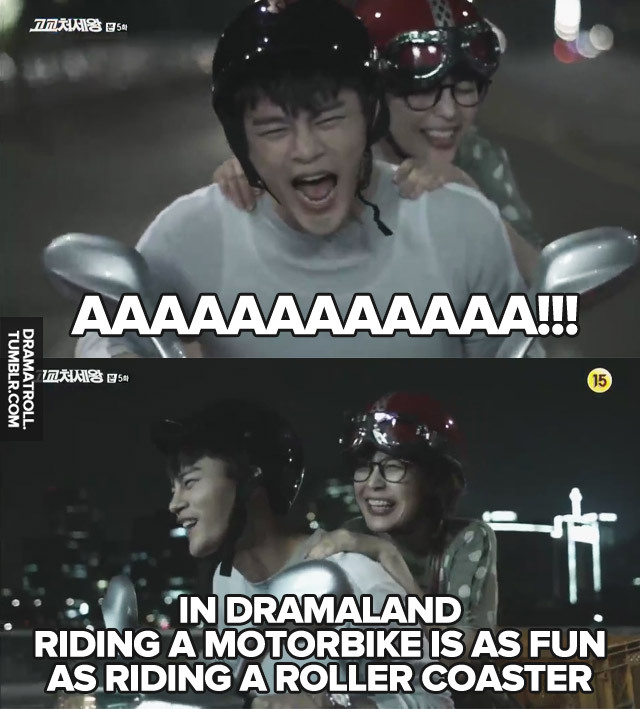 Prior to this, I’ve only seen Seo In Guk in Master’s Sun and the variety shows Mama Mia and Running Man. 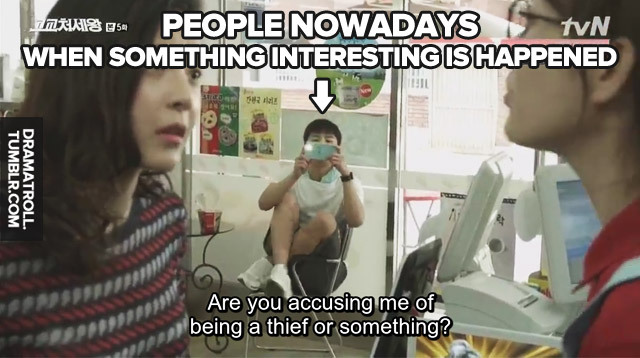 He’s great in variety shows too! An all-rounder! I also watched ‘Master’s Sun’, but I totally forgot Seo In Guk was in that drama! Lol. It’s probably because the drama overall wasn’t that memorable for me so yeah, haha. 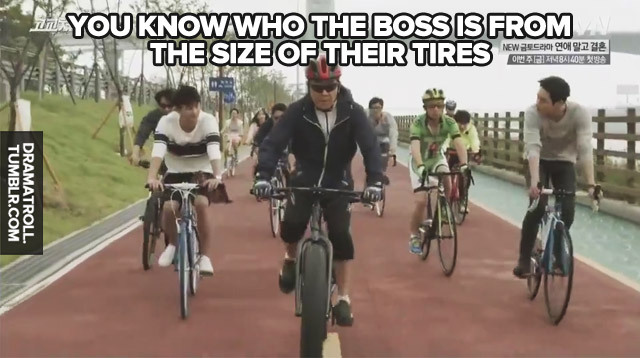 I watched the episode he appeared on in Running Man since you mentioned it and I ABSOLUTELY loved it. I could not stop laughing. I watched it in like 1 in the morning and was trying my best to hold in my laughter so that I wouldn’t wake up my whole family, but the episode was just way too funny I couldn’t stop laughing. Among my research and stalking, I found a MV that Seo In Guk featured and starred in called ‘Would You.’ He collaborates with Swings (who’s one of my favorite rappers) and I’m telling you, Seo In Guk brings the level of sexiness and hotness to a whole new level in that MV. SEO IN GUK IS JUST TOO IRRESISTIBLE. I cannot contain my fangirl feels, haha. Oh I have yet to check out SIG’s MVs and singing-related stuff. If you enjoyed his appearance in Running Man, then do check out his appearances in Mamma Mia with his mom! I may have to re-watch the Running Man episode for SIG this time coz previously, I focused on Park Seo Joon. Hee! OMG I’m so sorry for the late reply. I’ve been working on the recaps you know? Haha. I did watch his cut on Mamma Mia when he was with his mom and it was hilarious! His reaction to discovering his ‘birth secret’ was GOLD! I love the wood chopping segment too, but Kim Jong Kook makes the guys look like they’re weaklings. Kim Jong Kook is so awesome at it! Seo In Guk is not only great at singing and acting. He can rap, he can plays music (piano and guitar are his specialty), he can compose music, he’s good at sports especially martial arts. Have you seen his video when he did rap? It was amazing. Wow Frisha, you being a much earlier fan than me, you must be very, very proud of how far he has come, huh, coz I am! Yeah, it’s amazing to know that one’s dream can come true indeed. So, can I just ask, among all of his leading ladies, who do you like best (and least), in terms of their chemistry together? Yup, I’m so, so proud of him. Although I wished I knew him before his claim to fame… if we see his interview before he became an actor, he never once mentioned about acting. Acting is just a sudden opportunity in which he was doubtful about himself. He says he only got the chance to do acting when his manager convinced him and he got the role in his first drama (Love Rain) just because of his satoori (dialect). I do have one female lead who I think is the best in terms of chemistry with him, but I don’t have one who I like the least. All of his leading ladies are awesome. SIG can even have a chemistry with a rock 😀 But for the best chemistry with his leading lady, I still think it’s Jung Eunji of Answer Me 1997. They have a certain spark that made me love this couple so much. So far, his chemistry with Jung Eunji is still the best for me (I once shipped them so hard in real life, but not anymore, because I decided to stop ship real people LOL. They are still friends, though). I really love this show too… just finished epi 7 and wow… it’s so so good. Like what wunderbar said, you should check out his appearance in Mamma Mia. His expression after discovering his ‘birth secret’ was so funny and endearing. Can’t stop laughing and replaying the scene. I haven’t really checked out his songs yet, but I’ve heard Calling You and it’s quite nice. I’m not a hip-hop/rap fan… and I prefer OSTs. But do share with me anything that’s squeal-worthy! Hee! I saw a vid when he won Superstar K. His mom looks different there, compared to her appearance in Mamma Mia. He’s the eldest, I suppose – how many siblings does he have? Just google or search for these vids at youtube. Enjoy! Yup, he’s the eldest, he has one little sister who is already married 😀 He sings and playing piano on his sister’s marriage. Er… perhaps you should try to check his duet with his Answer Me 1997 co-star Jung Eunji, titled All For You. The MV and the live performance. One of my most favorite OSTs ever! Yup, I read his sis married his good friend or something, right? I think from the Mamma Mia show, the mom mentioned he has a brother too.